The festival, which takes place June 29-30 at SPAC, also includes former Prince guitarist Donna Grantis, Saratogian-led Kansas Smitty's House Band and the return of Freihofer's Jazz Fest Friday. 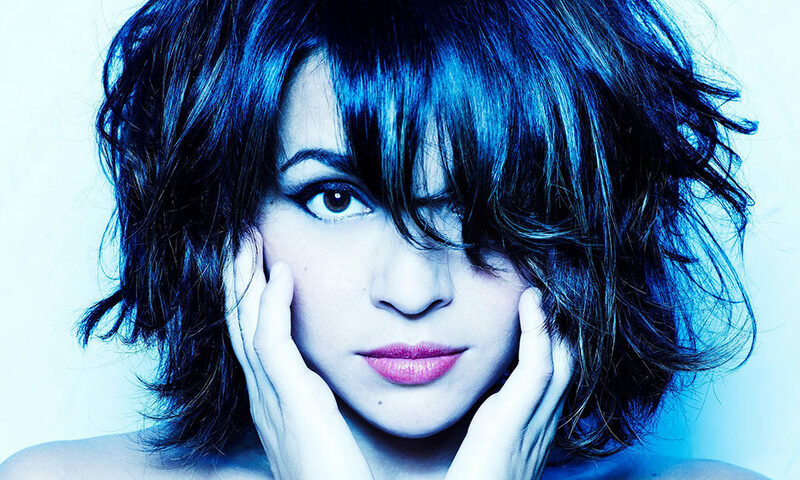 Multiple Grammy Award-winning artist Norah Jones is one of the headliners at this year's Saratoga Jazz Fest. You already know how incredibly diverse this summer’s schedule is for the New York City Ballet and Philadelphia Orchestra at the Saratoga Performing Arts Center (SPAC). Now, feast your eyes on Freihofer’s Saratoga Jazz Festival’s. The 2019 Jazz Fest blows into Saratoga for two days—Saturday, June 29 and Sunday, June 30—and will feature a truly jaw-dropping roster of 22 musical groups across two stages at SPAC, including 15 jazz festival debuts and seven female-led ensembles. Headlining the festival will be famed American jazz guitarist George Benson, superstar singer-songwriter and pianist Norah Jones (Benson and Jones share 19 Grammy Awards between them) and fiery up-and-comers Trombone Shorty & Orleans Avenue. Like past years, the lineup will also feature a lot of emerging acts making their festival debuts, including singer Kandace Springs, former Prince guitarist Donna Grantis and a band of Mardi Gras Indians called Cha Wa. Also at the 2019 festival will be a record number of groups led by female artists, highlighted by composer and powerhouse drummer Allison Miller, bebop and jazz vocalist Veronica Swift and blues singer and guitarist Ruthie Foster. Performances will begin on the Charles R. Wood “Jazz Discovery” Stage at 12pm Saturday and 11am Sunday, and on SPAC’s Amphitheater Stage at 2pm and 1pm, respectively. Also look out for the return of Freihofer’s Jazz Fest Friday, June 28. Added last year, Jazz Fest Friday is an annual collaboration between SPAC and Downtown Saratoga businesses to celebrate the region’s rich history of jazz. Expect loads of live jazz events, themed dining experiences and social dance options that will serve as the official kickoff to the 42nd Annual Jazz Fest. Tickets will be available online at spac.org beginning on February 15 at 10am to the general public and February 4 at 10am to SPAC members. Check out the full lineup below. 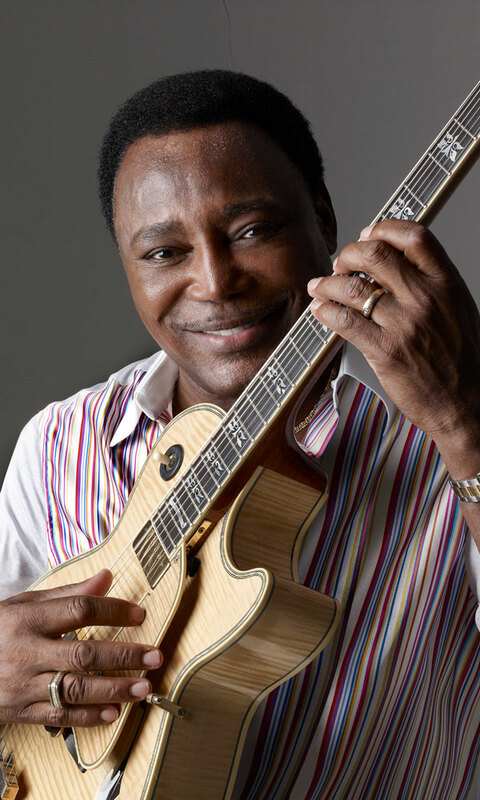 George Benson – Guitar legend and ten-time Grammy Award-winner George Benson will return for his first Freihofer’s Saratoga Jazz Festival performance in a decade. Having released an awe-inducing 36 studio albums over five decades, Benson is not just a veteran jazz musician but also a Jazz Fest veteran, having played a grand total of 11 times, including the first three jazz festivals from 1978-1980. Los Van Van 50th Anniversary – Making their first appearance at SPAC in nearly 20 years is Grammy Award-winner Los Van Van. With a sound that’s supremely rhythmic and easily danceable, it’s no wonder Los Van Van has become one of the most popular and enduring bands in Cuban pop music history. Kandace Springs – Known for her smoky, smooth vocals and expressive, jazz-lounge touch on the piano, jazz-fusion artist Kandace Springs will be making her SPAC debut at this year’s Jazz Fest. James Carter Organ Trio – Impeccable virtuosity and high-energy solos is the best way to describe the James Carter Organ Trio. Consisting of Gerard Gibbs (organ), Alex White (drums) and soulful saxophone master James Carter as bandleader, this trio of top-notch musicians will have audiences dancing from the first song. Mercy Project – Mercy is the 2013 debut album of pianist, composer, arranger and producer Jon Cowherd. Encompassing a suite of diverse compositions, Cowherd will perform the entirety of the album with his band Mercy Project, featuring Brian Blade (drums), John Patitucci (bass) and Steve Cardenas (guitar). Donna Grantis – Canadian electric guitarist Donna Grantis is perhaps best know for her sensational and funky-bluesy guitar playing with the late pop icon Prince in two of his rock groups: 3RDEYEGIRL and New Power Generation. Grantis will be making her festival debut with an equally talented and versatile five-piece backing group. Antonio Sánchez & Migration – Antonio Sánchez is a musician of many talents. The Mexican-American jazz drummer and composer has worked with jazz luminaries such as Dizzy Gillespie, Chick Corea and Pat Metheny. Sànchez also composed the score for the 2014 Oscar-winning film, Birdman, which earned him Golden Globe and BAFTA Awards nominations. Lionel Loueke and Raul Midón – Jazz pianist Herbie Hancock once described West African guitarist Lionel Loueke as a “musical painter.” An alumnus of Berklee College of Music and Thelonious Monk Institute of Jazz in Los Angeles, Loueke got to work on Hancock’s seminal, Grammy Award-winning album, River: The Joni Letters. 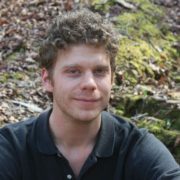 Since 2004, Loueke has released seven of his own albums, in addition to dozens of collaborations. New Mexico-based singer-songwriter and Grammy-nominated guitarist Raul Midón, on the other hand, has also collaborated with Herbie Hancock and other music luminaries, including Stevie Wonder, Bill Withers, Queen Latifah and Snoop Dogg. In addition to his collaborations, Midón has released 10 studio albums as a solo artist. Veronica Swift with The Emmet Cohen Trio – She may be only 24, but Veronica Swift is already one of the top singers in contemporary jazz. Her first appearance at Jazz at Lincoln Center was at just age 11, and in 2015, she won second place at the distinguished Thelonious Monk Jazz Competition. Swift will make her festival debut with The Emmet Cohen Trio, which consists of three of jazz’s biggest rising stars: Emmet Cohen (piano), Kyle Poole (drums) and Russell Hall (bass). Black Art Jazz Collective – Co-founded by Johnathan Blake (drums), Wayne Escoffery (saxophone) and Jeremy Pelt (trumpet), Black Art Jazz Collective brings together a talented ensemble of young musicians to celebrate African-American culture through music. Black Art Jazz Collective’s festival debut will also feature a collaboration with trombonist James Burton III, jazz pianist Xavier Davis, bassist Vicente Archer and drummer Carl Allen. Joe Locke’s Subtle Disguise with Special Guest Raul Midón – A five-time recipient of the Jazz Journalists Association’s “Mallet Instrumentalist of the Year” Award, Joe Locke is indisputably a virtuoso on his instrument, the vibraphone. In 2016, Locke was inducted into the Music Hall of Fame in his hometown of Rochester. For his performance, Locke will be joined by singer-songwriter and guitarist Raul Midón. Trombone Shorty & Orleans Avenue – New Orleans-based Troy “Trombone Shorty” Andrews is the bandleader and frontman of Trombone Shorty & Orleans Avenue. Andrews, a Grammy-nominated trombonist and trumpet player, has been recognized not only for his virtuosity on his instrument, but also for his deft blending of traditional New Orleans musical styles with rock, funk, soul and hip-hop. Norah Jones – Having sold more than 50 million records worldwide, singer-songwriter and pianist Norah Jones hardly needs an introduction. Over her 20-year career, Jones has won nine Grammy Awards (including five for her 2002 solo debut, Away with Me) and was named the top jazz artist of the 2000-09 decade by Billboard. Jones’ performance on Sunday will mark her Jazz Fest debut. Django Festival All-Stars with Special Guests Edmar Castañeda and Grace Kelly – Fans of the legendary Gypsy jazz guitarist Django Reinhardt are in for a treat with this concert of all-Django music reimagined for a contemporary jazz audience by The Django Festival All-Stars. This performance will mark the All-Stars’ second appearance at the Jazz Fest. They will be playing with Colombian harpist Edmar Castañeda and award-winning singer, saxophonist and songwriter Grace Kelly. Joshua Redman Quartet with Aaron Goldberg, Reuben Rogers and Gregory Hutchinson – Two years after winning the Thelonious Monk International Saxophone Competition, composer and saxophonist Joshua Redman released his self-titled debut album, which earned him his first Grammy nomination (since then he’s garnered six more nominations). Redman has played with music legends across multiple genres including Dave Brubeck, The Dave Matthews Band, Yo-Yo Ma and Quincy Jones. Joey DeFrancesco Trio featuring Billy Hart – Raised in Philadelphia, Joey DeFrancesco’s career with his vintage Hammond electric organ has earned him Grammy nominations and numerous Jazz Journalist Association awards. He was inducted into the Hammond Organ Hall of Fame in 2014 and the Philadelphia Music Walk of Fame in 2016. DeFrancesco will make his festival debut as bandleader in a performance featuring renowned jazz drummer and educator Billy Hart. Ruthie Foster – Originally a gospel singer in church from the tiny town of Gause, TX, Ruthie Foster has gone on to have the kind of musical career that most contemporary blues musicians can only dream of. Seven Blues Music Awards and three Grammy nominations later, Foster will be making her jazz festival debut. Allison Miller Boom Tic Boom Featuring Jenny Scheinman, Carmen Staaf, Kirk Knuffke, Ben Goldberg and Todd Sickafoose – Allison Miller Boom Tic Boom is an ensemble of talented musicians led by dynamo drummer and composer Allison Miller. The group will perform music from their newly released 2019 album, Glitter Wolf. Miller makes her festival debut alongside jazz violinist Jenny Scheinman, pianist Carmen Staaf, cornetist Kirk Knuffke, clarinetist Ben Goldberg and bassist Todd Sickafoose. Cha Wa – Cha Wa is a New Orleans-based band composed of Mardi Gras Indians that play music steeped in funky beats and heavy bass (plus visceral vocals provided by J’Wan Boudreaux). Cha Wa was nominated this year for their first Grammy Award and will be making their Jazz Fest debut. Youn Sun Nah – With her impressive vocal range and inventive style, South Korean jazz singer Youn Sun Nah has carved out a unique and successful niche for herself in the world of jazz. She released her debut album in 2001, and since then has signed with German label ACT and released seven studio albums, two of them gold records in France and Germany. Joel Harrison’s Angel Band Featuring Jon Cowherd, Jaleel Shaw, Stephan Crump and Brian Blade – “Musical polyglot” might be the best way to describe Guggenheim fellow Joel Harrison. The guitarist, composer, educator, producer and singer-songwriter first began his musical journey in the early 1980s with stints in Boston and San Francisco’s Bay Area. Harrison’s most recent album, Angel Band, is an exploration of traditional country and Appalachian music played by an all-jazz ensemble. Harrison will make his festival debut with pianist Jon Cowherd, alto saxophonist Jaleel Shaw, bassist Stephan Crump and drummer Brian Blade. Kansas Smitty’s House Band – The tight-knit and upbeat Kansas Smitty’s House Band has appeared at the Royal Albert Hall and Barbican Centre (both in London; that’s where they’re based), as well as at the Lincoln Center’s Frederick P. Rose Hall, per the request of Wynton Marsalis, conductor of Jazz at Lincoln Center Orchestra (JLCO). The main members of Kansas Smitty’s House Band are Saratoga Springs native Giacomo Smith (alto saxophone and clarinet), Pete Horsfall (trumpet and vocals), Adrian Cox (clarinet), Joe Webb (piano), David Archer (guitar), Ferg Ireland (double bass) and Will Cleasby (drums).